It’s difficult to imagine why such a large and powerful animal would be so skittish. 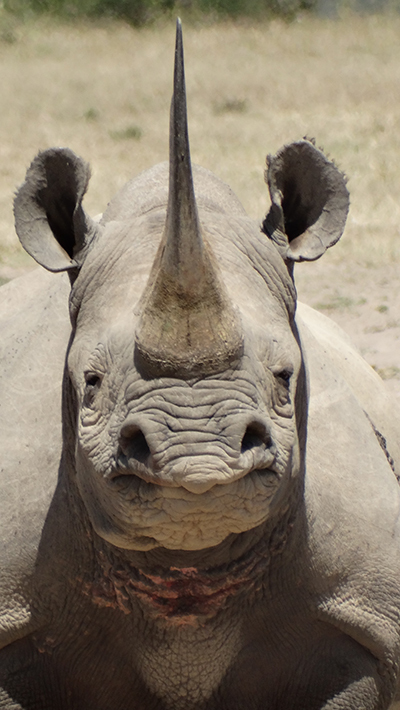 With a modest charge, a white or black rhino could seemingly bulldoze anything in its path. But some of the rhinos newly introduced to wildlife conservation areas in Kenya are noticeably wary of human presence. If you’ve kept up with wildlife protection news during the past several years, who could blame them? A war is being waged against rhinos, and with enhanced technology, greater firepower and unfathomable amounts of money on the poachers’ side, even a massive rhino doesn’t stand much of a chance on its own. Luckily, there are people who care. People who have the drive, commitment and resources to fight back. 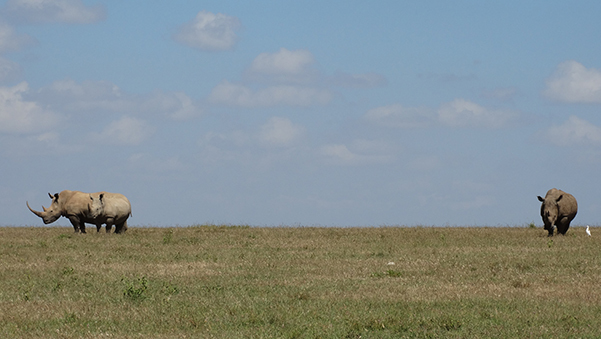 In Kenya, it’s an uphill battle. To experience this situation firsthand was powerful. Reading about the peril of the rhino and seeing them up close in the wild are two very different things. After taking a Kenya Migration Photo Safari last year, I’ve adopted an attitude of confidence and optimism about the fate of rhinos in Kenya. I was invited to the Borana Conservancy by Michael Dyer, whose family has run the conservancy since its inception, to join him as he drove six members of his anti-poaching unit out to their positions for the night. In Lewa, Will Craig gave me an aerial tour of the Lewa Downs Conservancy in his open-cockpit bi-plane to really see the vastness of the lands they’ve set aside (which now connect seamlessly with the neighboring Borana Conservancy since they’ve removed the fences). At Solio Lodge, I dined with Dr. Felix Patton, who shared his rhino research and personal thoughts about how best to combat poaching. Tanya and Mikey Carr-Hartley, owners of the Safari Collection and Solio Lodge, detailed their conservation efforts during a Kenyan game drive and described the amount of energy and resources that go into protecting the rhinos of Solio. To truly understand the rhinos’ situation and experience the efforts to save these mighty creatures, you really must visit Kenya in person. For rhino conservation efforts to be successful, the people on the front lines really need us to visit the protected wildlife areas. 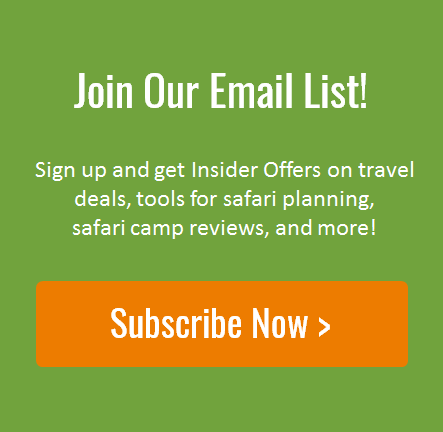 The activities above may sound like treatment for an “industry insider,” but every one of these people would be delighted to welcome any safari-goer in this manner. Michael, Will, Dr. Patton, Tanya, and Mikey all have a passion for conservation, and they want to share it with you. All you need to do is go. One fact is true about the rhino conservation areas I visited in Kenya: they would not exist without the money generated from regular tourism. Although Kenya has received some negative press as of late, the safari circuit is as safe as ever. Conservation travel is a necessary tool in the fight against poaching, and these conservancies are counting on foreign tourism dollars to continue their rhino protection efforts. With the help of a caring international community, I’m hopeful that the rhinos will continue to survive and prosper. This guest post was written by Jordy Oleson, Adventure Specialist at Natural Habitat Adventures. All photos © Jordy Oleson. Is It Too Late to Save the African Rhino? A safari in Kenya is an amazing experience. Knowing that by just visiting the parks you contribute to conservation is encouraging.